Prague Airport (officially Vaclav Havel Airport Prague) is a modern, spacious airport with two passenger terminals: Terminal 1 and Terminal 2. All international flights bound for Prague arrive at this airport. Prague Airport is located 17km west of the city centre. 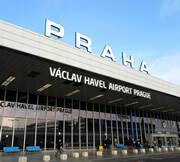 Hundreds of flights each day connect the Czech capital to more than 100 worldwide destinations, carrying over 16 million passengers per year. Flights from the Schengen area arrive at Terminal 2. Other flights, including UK flights, arrive at Terminal 1. Prague Airport has all the facilities of a modern airport: restaurants, bars, cafés, and Czech and International shops. Visitors can purchase duty free goods, jewellery, watches, luxury branded clothing, and a range of traditional Czech products such as local food, beer and wines. Tax free shopping, offering savings of up to 21%, is available to passengers departing on flights bound for destinations outside the EU. A Visitor Information Centre and a Public Transport Information Centre are located in the arrivals hall at both airport terminals, open daily 08:00-20:00. Currency exchange offices are situated in the arrivals and departures halls at both airport terminals (although better rates are available in the city centre). Cash machines (ATMs) are located at both terminals. At Terminal 1, exit customs and in the arrivals hall the ATMs are to the right, by the stairs. At Terminal 2, exit customs and in the arrivals hall the ATMs are to the left. Note: There are cash machines in the baggage hall, but they charge a high commission - wait until you exit customs and use the ATMs in the arrivals hall. Free Wi-Fi is also available at Prague Airport. 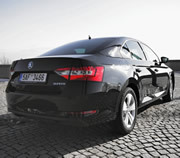 Prague Experience offers Prague airport transfers, for a safe and comfortable journey into the city. Our Prague airport taxis are driven by polite English speaking drivers. We charge a fixed price to all hotels in Prague - the journey time into the city by taxi is around 30 minutes: Prague airport transfers. Alternatively, you can travel into Prague by taking a bus, then the metro. The journey time by public transport is around 1 hour - Prague public transport.